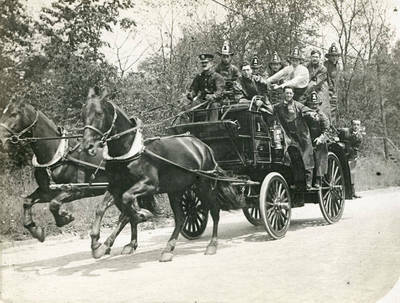 The New Rochelle, New York fire department, appearing in a Thanhouser silent film production, ca. 1911. BW photograph; 3.5" x 4.25"